Part mystery and part history lesson, director Jacqueline Olive’s Always in Season is an ambitious and extraordinarily timely documentary about race relations, equality under the law, and the lingering aftereffects of a dark and violent past that still lurk, like a latent infection, in too many parts of the United States. Narrated by Danny Glover, and melding the story of the suspicious 2014 death of an African American teenager found hanging from a swing set with a broader exploration of the country’s history of lynching, the film is a pained howl for justice and reconciliation in a divided America. When the lifeless body of 17-year-old Lennon Lee Lacy is found in the middle of a mobile home park in Bladenboro, North Carolina, a small, socioeconomically depressed farming town of 1,750, suspicion of lynching stirs up old fears and racial animus. The local police immediately rule it a suicide, but that pronouncement doesn’t seem to jibe with Lacy’s disposition, and an odd autopsy (the coroner was reportedly banned from taking photos at the scene of the death) and other dubious details only add to questions surrounding the case. Intercut with this narrative is a historical overview of the barbaric and disturbing communal killings of African Americans within the United States – a “message crime” to both black and white communities. In particular, the movie explores the 1934 lynching of Florida farmhand Claude Neal and the 1946 Moore’s Ford lynching of two African American couples by a white mob. 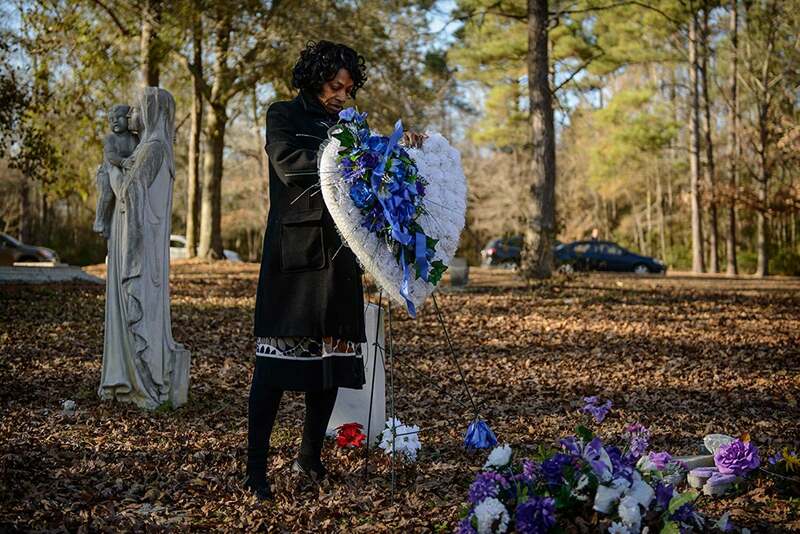 As part of the latter, Always in Season provides a platform for some members of a group dedicated to staging an annual lynching reenactment in Monroeville, Georgia, revealing pained family secrets. Olive, who coordinated the production of the Emmy Award-winning PBS documentary series Independent Lens for three seasons before forming her own production company, oversees a solid technical package in her feature film directorial debut. An appropriately mournful score from composer Osei Essed is utilized effectively, and the film also makes superb use of establishing drone shots within Bladenboro (most notably in a slow push-in over playback of the 911 call from the discovery of Lacy’s body), giving viewers a crucially important sense of both the community overall and the specific geography of the settings most in question. If there’s a shortcoming, it’s that the work of editor Don Bernier doesn’t fully locate a seamless rhythm between Lacy’s story and the ugly history of lynching. Olive admirably wants to thematically connect the two but does so only fitfully. Sometimes her reach outstrips her grasp. Apart from the tragic death itself, the film provides dark and tantalizing hints of an unsettled and riven rural community (Lacy’s grave was desecrated just five days after his burial, his mother shares) to rival the one captured in Joe Berlinger and Bruce Sinofsky’s seminal 1996 documentary Paradise Lost. And Olive, in an abbreviated slate of interviews with a variety of local figures – like Mayor Rufus Duckworth, Bladen Journal editor-in-chief Curt Vincent, and First Baptist Church pastor Gregory Taylor – coaxes sometimes inadvertently revealing truths out of her subjects, including the racist roots of the “Bladenboro Beast,” a local legend dating back to the 1950s. But Always in Season is slow to warm to tackling the mystery at its core. When one of Lacy’s friends shares details about his neighbors, and Lacy’s much older, Caucasian American girlfriend, Michelle Brimhall, pops up and talks about their relationship, the movie feels poised to turn an investigative corner. But for both better and worse, this isn’t the type of film in which Olive is interested. Instead, Always in Season is essentially two films – equally valid and heartrending. One is about extrajudicial mob killings rooted in prejudice and bigotry, and the other about at the very least the disheartening boundaries of race-informed empathy, and at worst something more sinister. That there is no easy peace or pat, workable solution found is perhaps its most salient point. “A neighborhood is supposed to be an extension of your family,” says Lacy’s mother Claudia at one point, “and until this gets healed, this neighborhood will be an open wound.” Viewers are left grappling with this difficult fact, among many others.